International (MNN)- Since Faith Comes By Hearing creates audio Bibles, it seemed there was no way to reach out to the deaf community. But, they found a solution by launching a Deaf Bible App in 2012. “The Deaf Bible App, today, has about 16 languages in it, over 500,000 users worldwide–just tremendous distribution,” Bucklew says. In 2013, Deaf Bible was born as a part of Faith Comes By Hearing. Since the deaf community was in such desperate need of help and interpretation, the division grew rapidly. 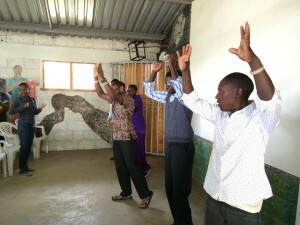 “Through that process we began to realize that one of our biggest complications in engaging deaf communities with the Scripture was going to be the fact that there were very few amounts of translation projects going on. There wasn’t enough content to engage deaf communities around the world,” Bucklew explains. That’s why Deaf Bible is now separating from Faith Comes By Hearing and becoming it’s own ministry.